Splashbacks and upstands protect your wall from splodges and stains, but don’t let this simple function get in the way of your creativity. Whether it’s a full height splash back or a smaller upstand, give your sense of style a free rein and explore our wide range of inspiring products. If you’re aiming for a splash back to match your beautiful new worktop or a polished, elegant contrast of glass mosaic, look no further than our stunning collection. 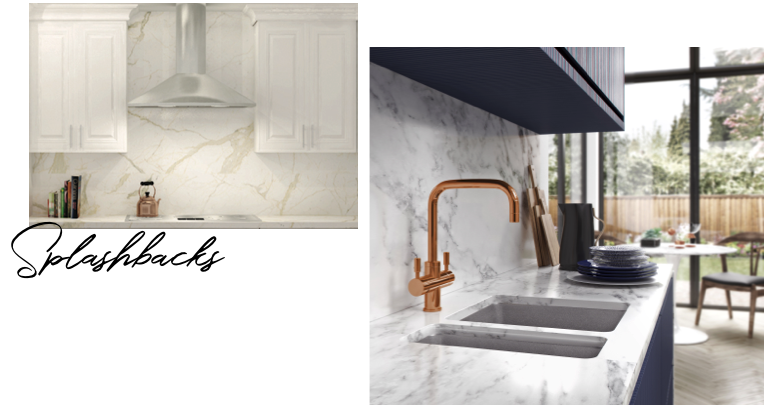 These low maintenance splash backs combine durability and toughness, and make a beautiful accent or feature wall. They’re highly suitable for kitchen and bathroom makeovers. Our mosaic tiles can be pre-mounted on a flexible backing board and pre-grouted for ease and speed of installation — often in as little as a day. They can be bonded directly over your existing splash backs so no demolition is required.